Hey there lovelies!! Hope you are having a very nice day. 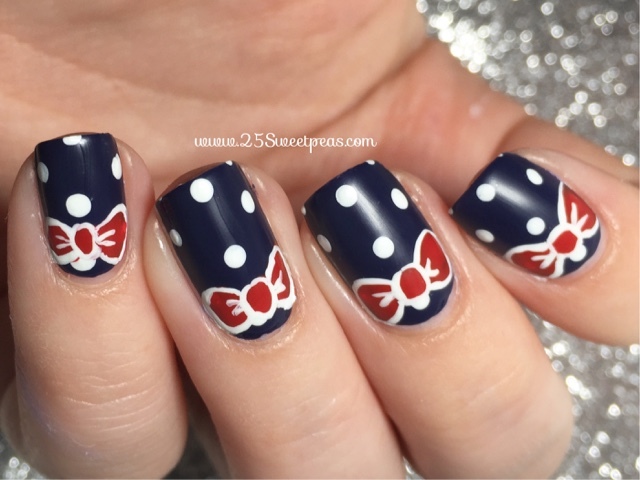 Today I have a simple more girly look for a 4th of July, that is pretty simple! It's slightly a remake of one I did last year. This years version is just better in the fact of its newer and all of the nails match which makes you only have one focus. So first off I started out with a navy base. 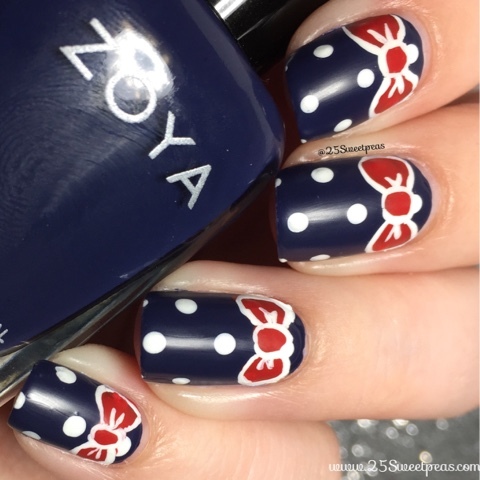 Which in this case I used Zoya Sailor. That is the only polish you need do this look. The rest is acrylic paint! I mean you could do it with polish but acrylic paint is easier to work with when doing smaller details! 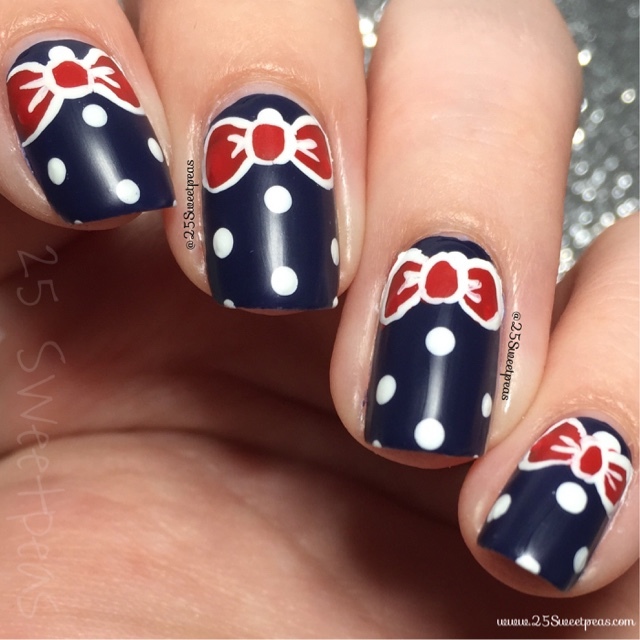 I then did the dots and then the bows! :) On top of all of that I just did a matte top coat! I have one from Urban Outfitters that I like really well! Well that's it for this post! I hope y'all have liked this post! It's pretty short but fun I think! Tomorrow I have another fun post coming with some people y'all will recognize!